For the 11th year, Lytham Hall will host Mark Woodward’s Classic Car & Motorbike Show on Sunday, July 22. The Fylde coast venue is located seven miles from Blackpool, and is easily accessible from the M6/M55. 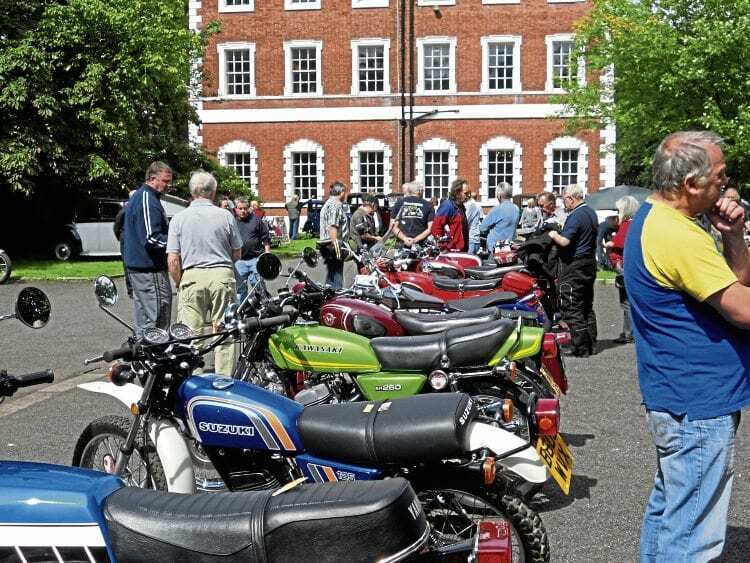 Classic bikes line up at a previous Lytham Hall event as owners and visitors mingle. The show will run from 10am until 4pm, and admission prices, including free parking, full access to the park, gardens and stable-yard tea room, will cost £7 for adults and £2.50 for children. For more details, to exhibit your classic vehicle or to secure trade plots, contact Mark Woodward on 01697 451882 or go to www.markwoodwardclassicevents.com. Previous Post:A TRULY ‘MAMMOTH’ EVENT!